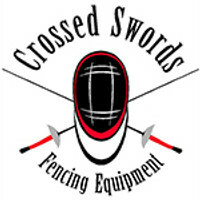 Please contact us at Crossed Swords Fencing Equipment by email with your product questions or feedback about our website, products and services. We try to respond to all messages within 24 hours of receiving them, but when attending competitions, this is often an extended time window. Note: We are not a traditional walk-in store, but a home based business. Please contact us first if you would like to view products prior to purchasing. Thank you.